Product prices and availability are accurate as of 2019-04-16 06:50:12 EDT and are subject to change. Any price and availability information displayed on http://www.amazon.com/ at the time of purchase will apply to the purchase of this product. Provide your kitchen or break-room with a full-service cafe capable of preparing dozens of different drinks at the touch of a button. The Capresso 13752 Impressa Z9 One Touch TFT Coffee Center makes your drinks quietly and quickly and provides plenty of options. The high-resolution touch-screen allows you to customize your drinks and pre-set and rename up to six preferred drinks. The water and brewing temperature are both easily adjusted for your ideal enjoyment. A 10-oz. hopper fresh-grinds your beans every time while a dual-chamber frother makes sure the milk is always silky and smooth. The unit prompts you to rinse the system after each milk-based drink, guaranteeing that the coffee maker remains functional and odor-free. From cafe Americanos, lattes, macchiatos, espressos, hot water, steamed milk, and more, you'll find everything you could ever want at the touch of a button. This piece is constructed using a combination of sleek, black plastic and stainless steel parts. A cup-illumination feature lets you know which spout will be used to dispense your drink. Launched in 1994, Capresso provides innovative coffee equipment for professionals and home users alike. 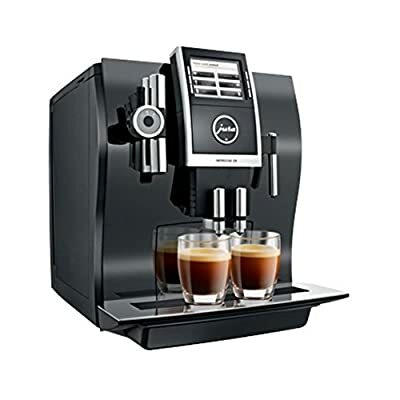 In 2002, Capresso merged with Jura AG, a company founded in 1931 in Switzerland. 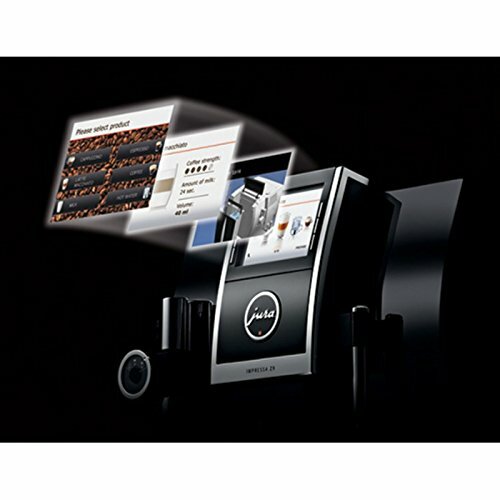 Together, Jura Capresso began to introduce the finest automatic coffee centers to the U.S. market. 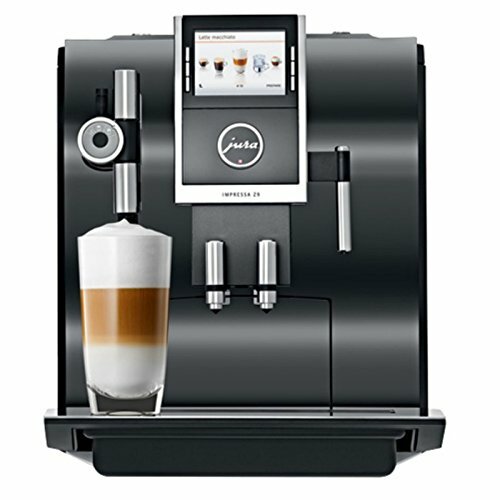 With friendly, high-tech features like one-touch operation, interchangeable frothers, LED displays, and high-pressure brewing, Jura Capresso coffee machines have quickly become leaders in the industry. Through new, patented designs, their machines are constantly evolving to make it a pleasure for you to create delicious coffee with ease. Jura Capresso machines are beautifully designed to look great on your countertop, and are made with high-quality materials that are engineered for years of reliable performance. Overall dimensions: 16.5L x 12.5W x 14H inches. 1250W, 120V automatic coffee maker.